1. Know who your target market is. Okay, so you have social media accounts, but are those accounts reaching out to the right people? If you aren’t getting traction from your social media efforts, then you haven’t fully defined your target audience, and you’re just wasting your time marketing your business to people who don’t care about your product. But don’t fret because there is something you can do to turn the situation around! For all our clients, we create a customer avatar. This is where we get to know their specific target market, by identifying their needs, their pain points, and their values. 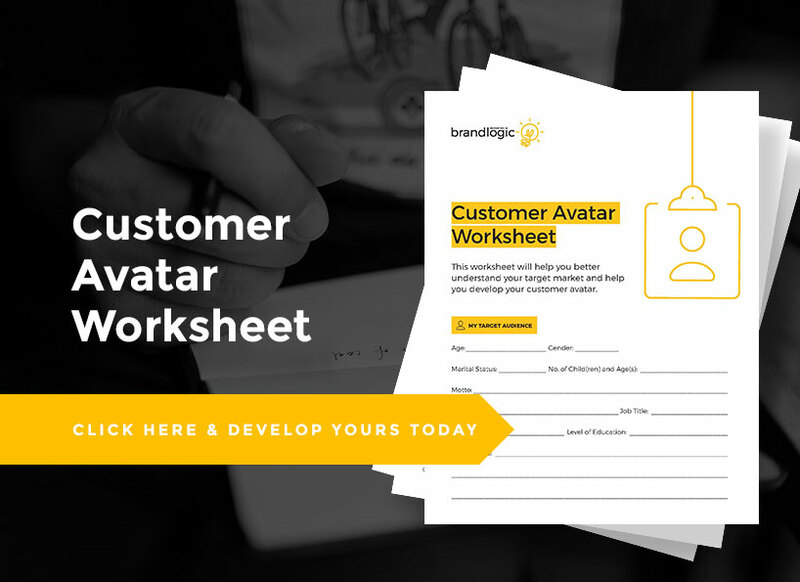 To help you get started, we prepared a worksheet so you can build your specific avatar step-by-step. Click here to download! 2. Create your strategy. Once you understand your target market, then it’s time to create your social media strategy. That strategy will differ from business to business, and campaign to campaign, because your goals and your audience will be different. Creating a strategy also helps to keep you on track and develops consistency. We know that it’s easy to get caught doing what you need to do to keep your business running. By creating a social media strategy, you can keep your social engines running, while you work on other aspects of your business. For instance, having an editorial calendar in place will allow you to schedule all your blog posts and social media posts ahead of time, so you don’t have to think of them for the rest of the month. Procrastination is your worst enemy–beat it by being ahead of the game! 3. Create content that matters. So, you have an editorial calendar in place…but are you sharing content that adds value to your target market? If you want to get more leads from social media, then you better start giving your target market something they want. Remember that it’s not about you, it’s about THEM. Instead of bombarding them with salesy posts, why not give tips or advice that will help them solve something they’re struggling with? Give your content a little more boost, by making use of keywords in your blog posts and hashtags in social media. This way, your post will reach people who are interested in what you have to offer. And you want to make sure you follow-up by engaging with your audience. If someone comments on your post, reply! If you put these three things into place, and you are consistent with it, you will see more leads coming in through your social media.